Kolimbithres. 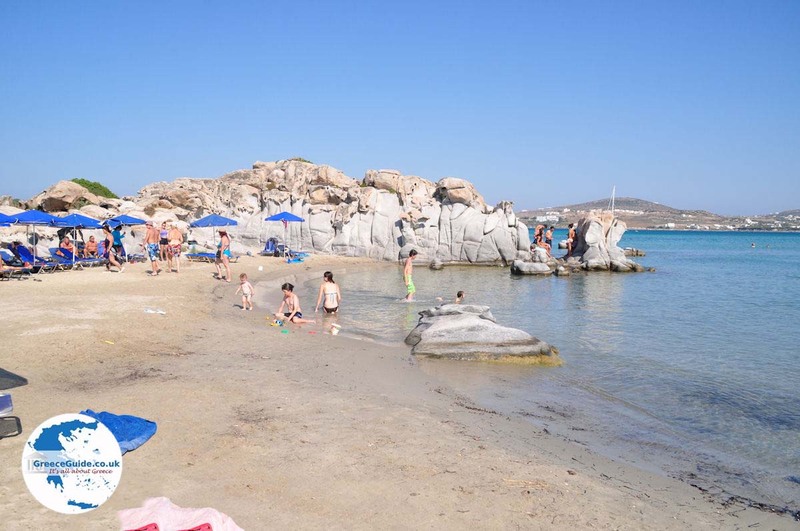 Kolimbithres is located five kilometers (3 mi) northwest of Naoussa and is one of the most popular seaside resorts on the Greek island Paros, especially among the young. 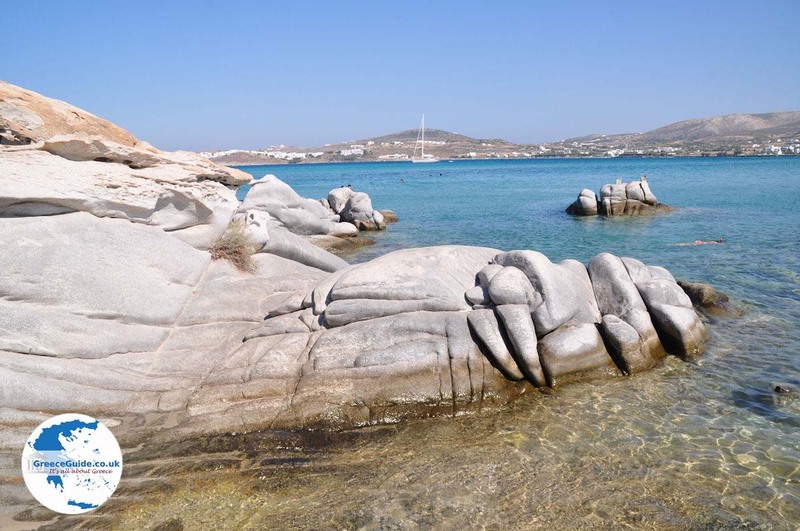 Just before the shipyard are two beaches, which are striking because of the spectacular rock formations around the sandy beaches. 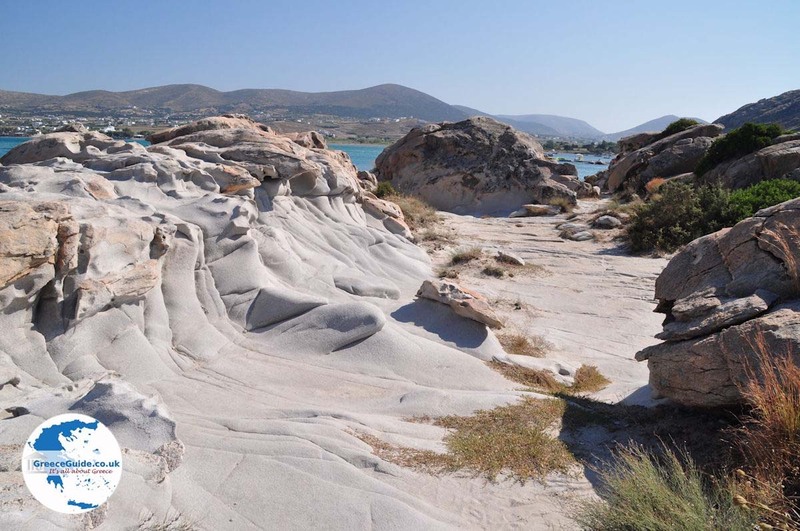 These beaches are called the Kolimbithres beaches. 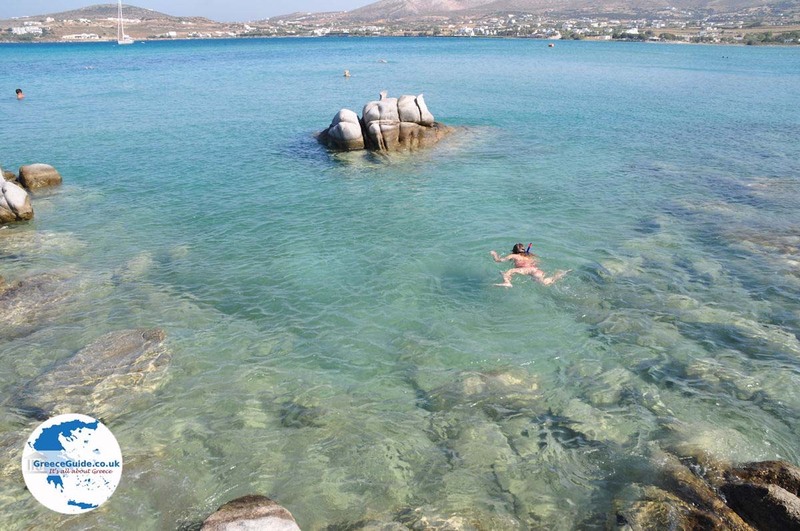 You can sunbathe on the rocks or on the sandy beaches in the small bays. Umbrellas and sunbeds can be rented on the beaches. If you want to stay in Kolimbithres, there are several larger and smaller hotels in the area. 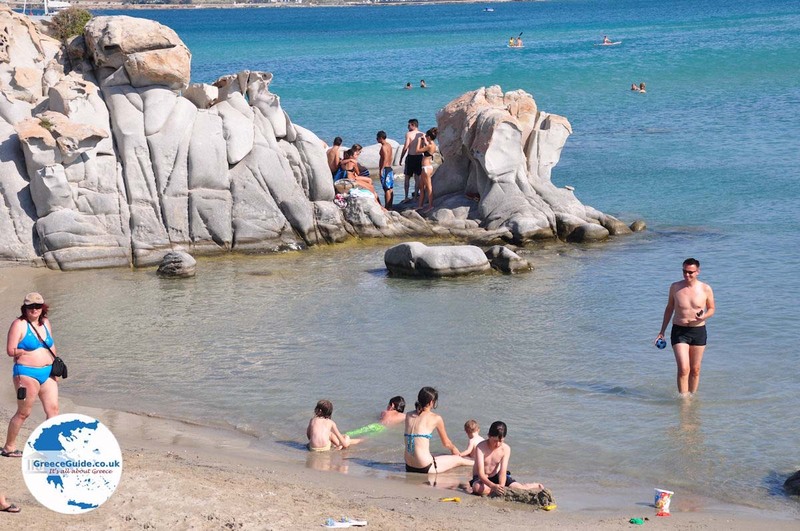 Nearby Kolimbithres are several other beaches. 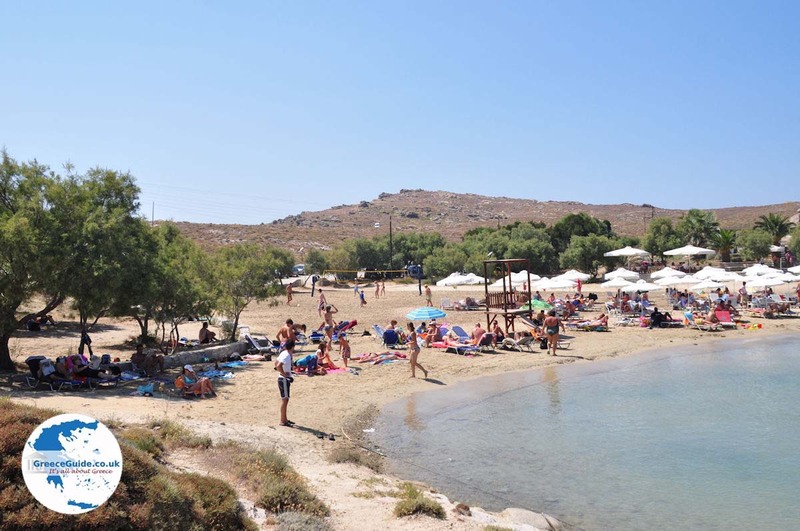 Two and a half kilometers (1.5 mi) north of Kolimbithres is the beach of Aghios Ioannis Detis. 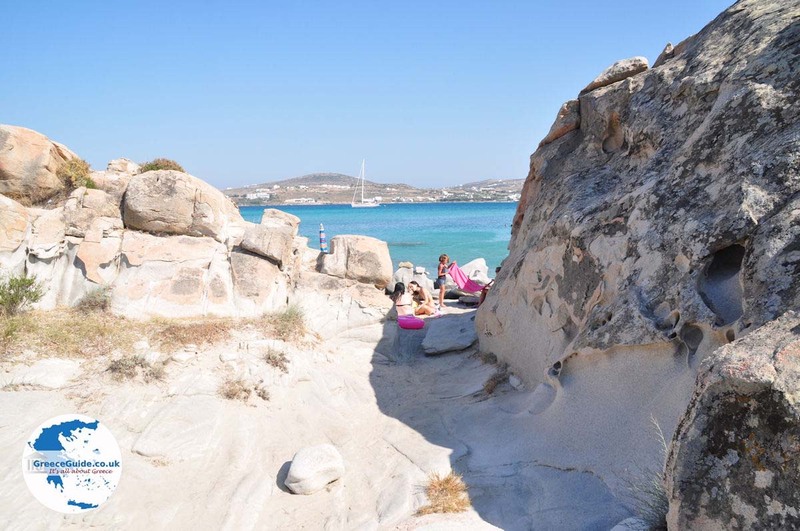 On this beach there is a restaurant bar so you can enjoy a meal without leaving this exceptional setting. 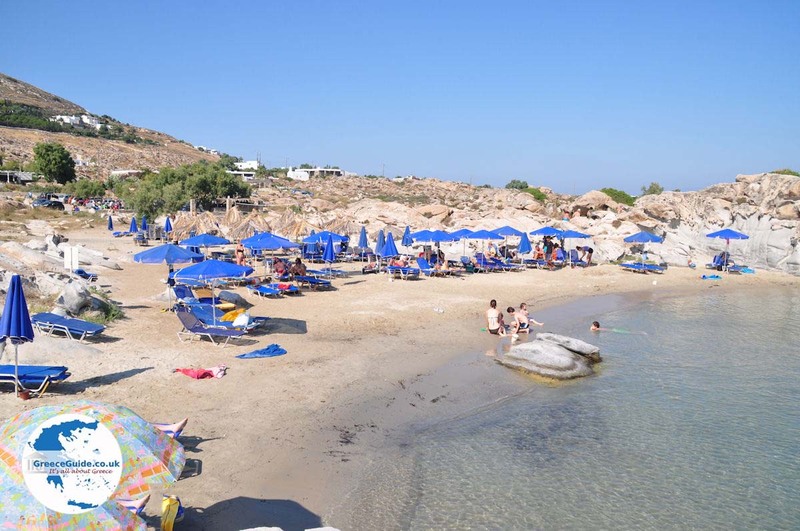 The sandy beach offers beach chairs, umbrellas, water sports, beach volleyball and, above all, relaxation for its guests. 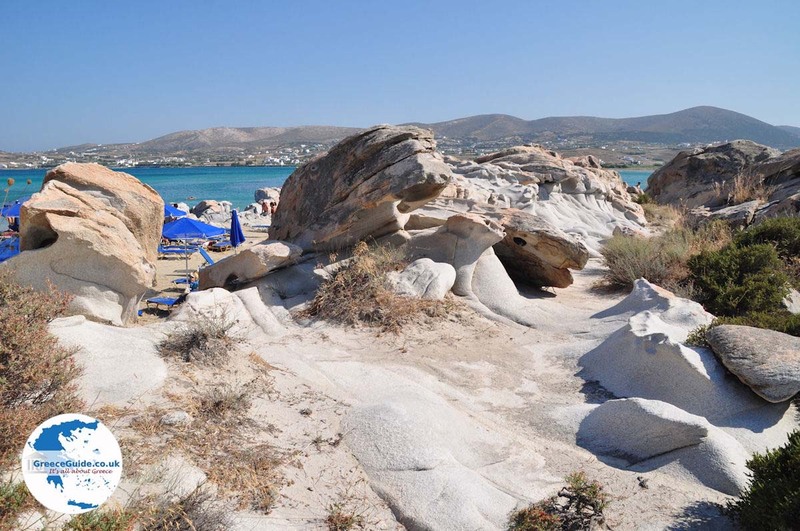 On the road from Naoussa to Kolimbithres is the beach called Limnes. 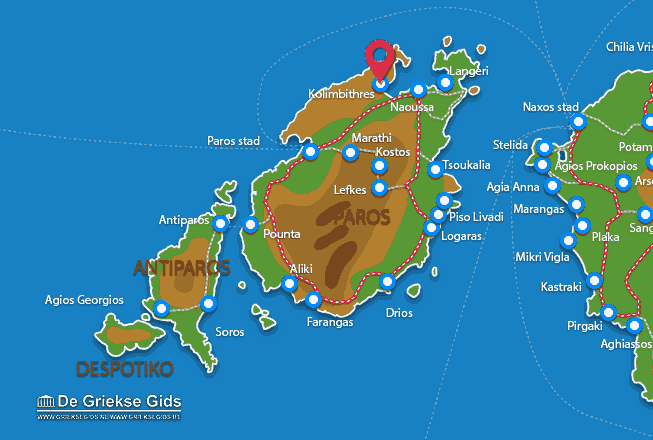 Paros: Where on the map is Kolimbithres located?